Developed by SCE Japan Studio. Published by Sony Computer Entertainment Japan. Released November 15 2013. PS4 only. 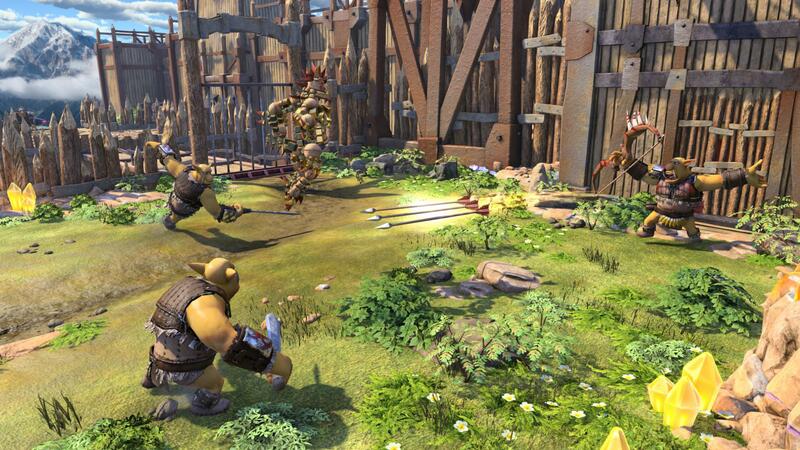 Knack throws you right into the middle of a conflict between a technologically advanced human civilization, complete with robots, airships, and machine guns, versus a race of goblins armed with little more than medieval weapons. When a military outpost is ransacked by a large goblin horde armed with rockets and tanks, famed inventor Dr. Vargas and his creation, a being called Knack (who's composed of the same Relics that power human civilization), are part of the team sent to investigate how they managed to get a hold of such advanced technology. 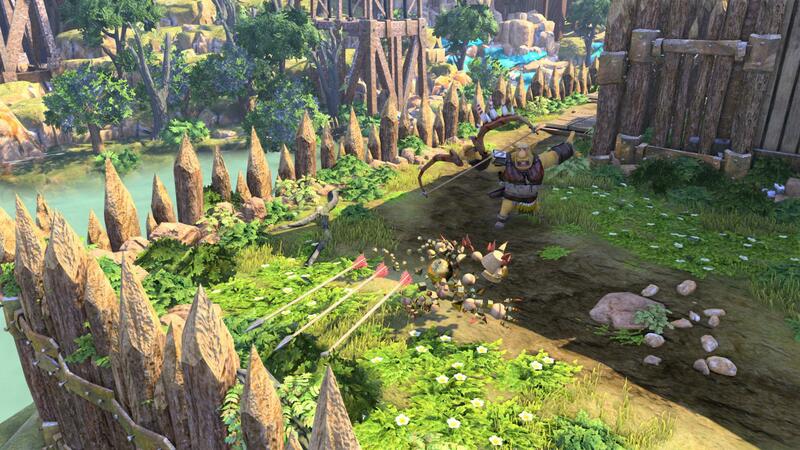 With this barebones set up, Knack launches into a ho-hum narrative of Knack seeking to defeat the goblins that just sort of muddles along from plot point to plot point. 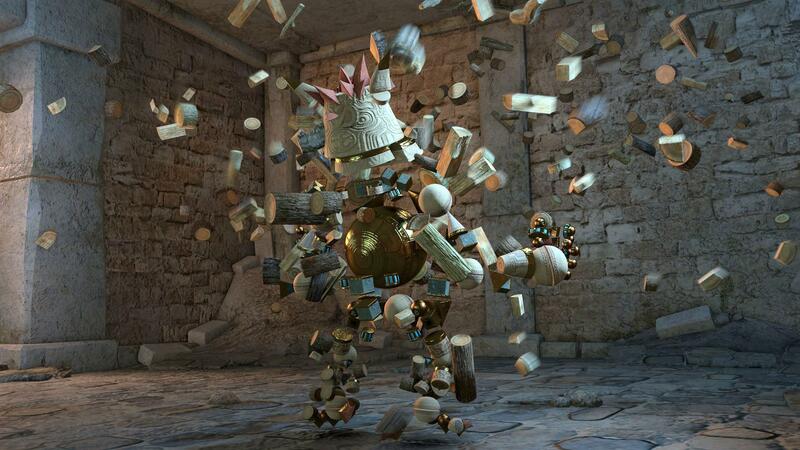 Knack's gameplay consists mostly of a mix of melee combat with a wide variety of enemies, ranging from exploding bugs and axe-wielding goblins to giant robots, as well as the occasional bout of platforming across falling rocks or past environmental traps. Combat is very simple, as most enemies can be defeated with a quick one-two punch combo. 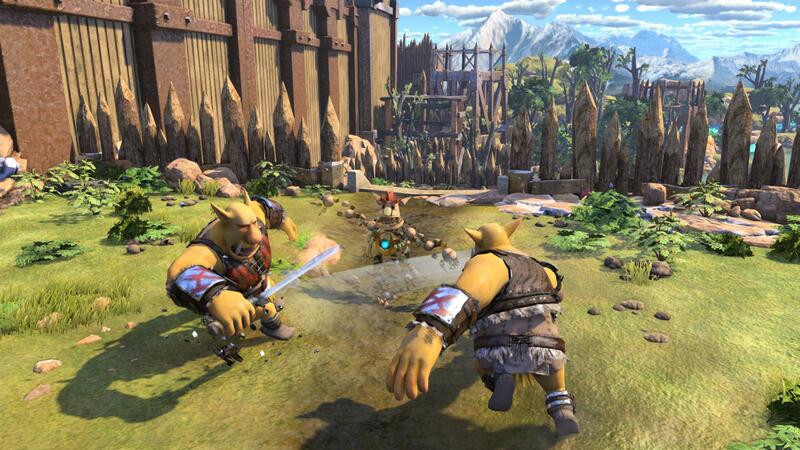 However, that's not to say Knack is impervious to harm - asides from being able to dash quickly to the side to avoid attacks, you're actually just as vulnerable to a few slashes of a goblin's sword or a well-placed laser bolt as they are to your melee strikes. 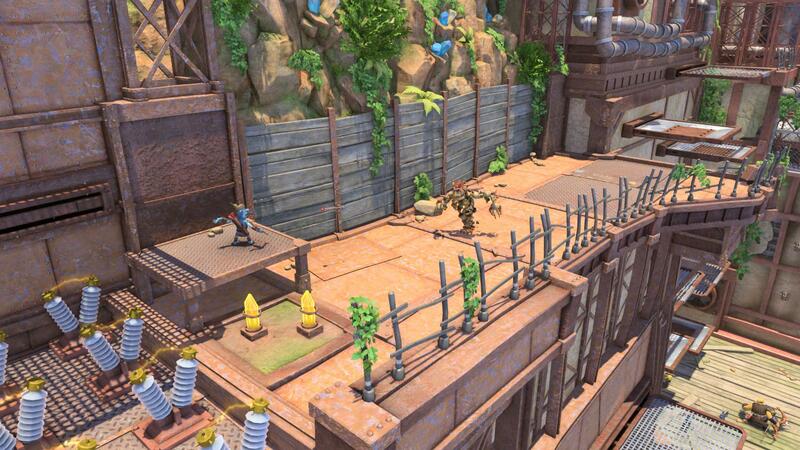 This is where Knack's severe problem with repetition comes into play, as most levels play out the same, boring way; you'll either enter an area, beat up anything that moves, and then move onto the next one to repeat the process, or you'll get taken out yourself in short order and have to restart at a checkpoint several areas back. 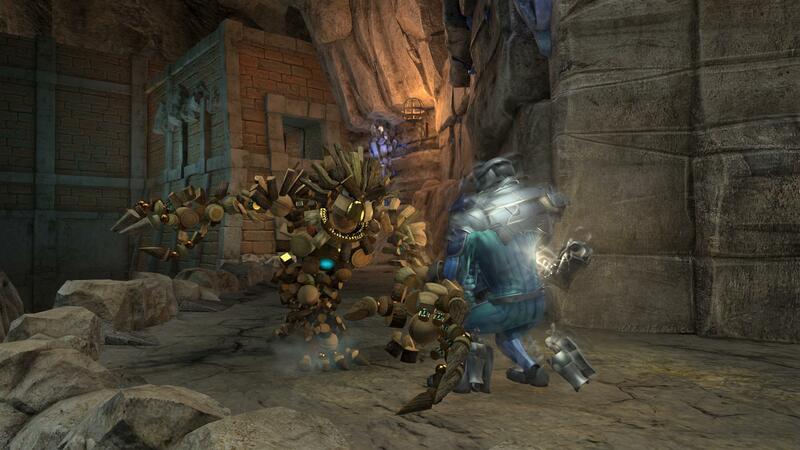 In many cases, Knack can reach controller throwing levels of frustration if it weren't for the fact that the game reloads itself quickly and smoothly every time you die over and over. Other than that, there's not much in the way of variety and the rare interesting sections are few and far between. 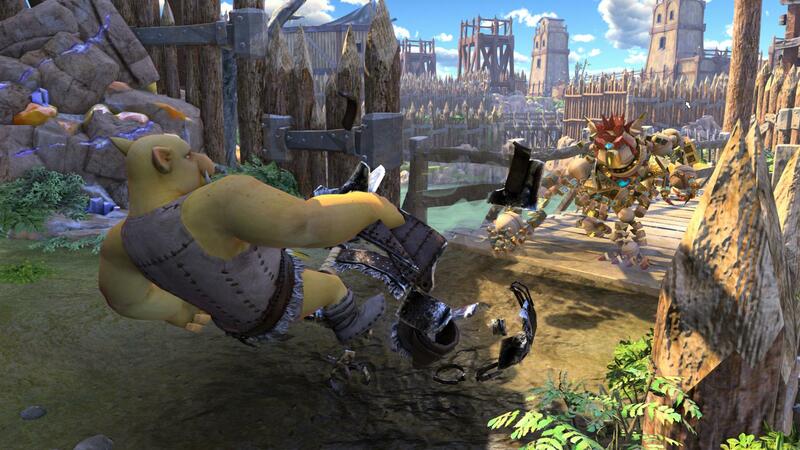 When it comes to combat, punching and smashing aren't your only means of beating goblins and robots into scrap, though. 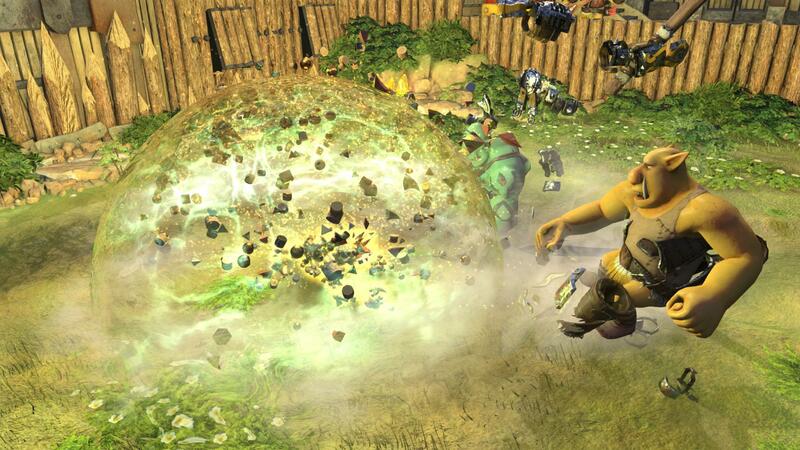 Using Sun power, which you pick up by smashing yellow crystals spread out in the game world, you'll also have access to several different power attacks which can instantly kill most enemies in a powerful shockwave or a visually impressive tornado of Relic bits. Despite how common the crystals that provide you Sun power are, though, you'll actually accumulate it so slowly that you'll rarely be able to use any of your power attacks throughout the course of the game. It's almost depressing that you're given such cool abilities, but are limited in how often you can use them in the game. The one saving grace is that when you die, the sun power you've picked up carries over, so at the very least you'll eventually be able to use one of your power attacks if you hit a spot you have trouble progressing. And in some cases, given how easily defeated you are, grinding sun power through repeated deaths to use power attacks feels like the only way to proceed the more trickier sections. In your travels, you'll also come across various secret areas, typically hidden behind a destructible wall, that will hold bonus sun power or relics, but sometimes also contain special gadget parts or crystal relics. 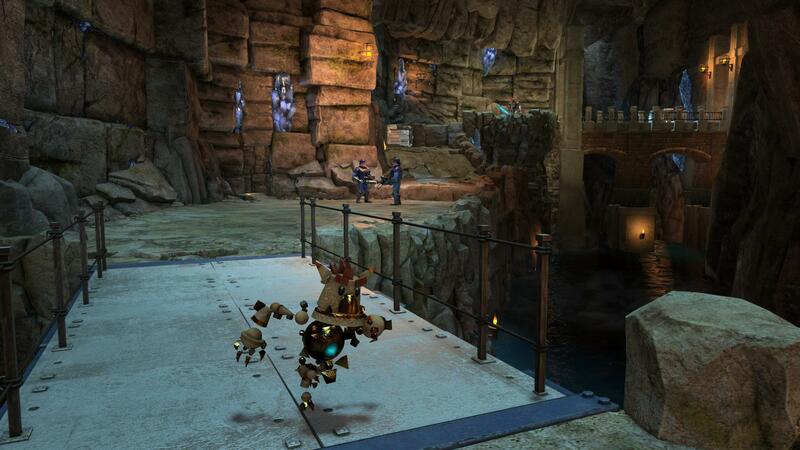 If you're able to assemble a full gadget, you can give Knack bonus abilities, like gathering sun power from defeated enemies or increasing your toughness. But unless you scour every nook and cranny, you won't gather up enough gadgets or crystal relics to actually construct anything of use in your first playthrough. 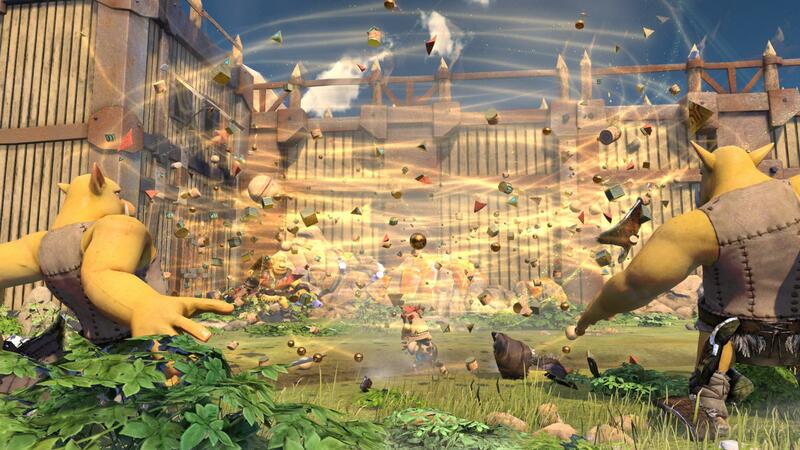 In addition, Knack has the ability for 2 player co-op, but it's sadly a confusing mess. 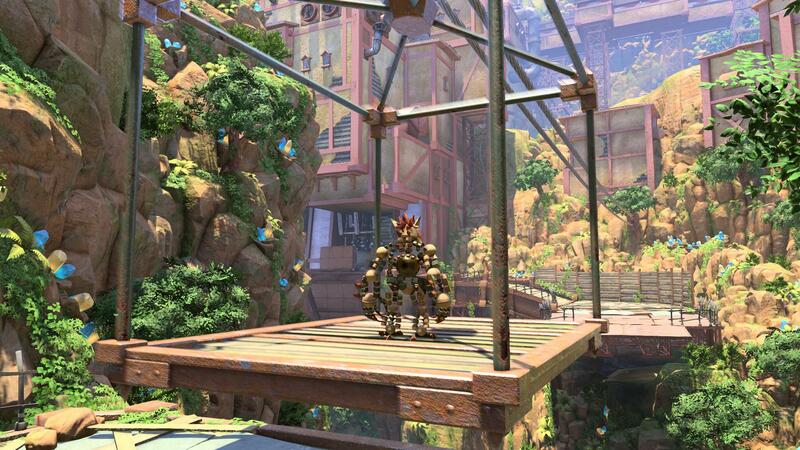 A second player can hop into the game and play a robot version of Knack, which can make the game feel easier since Robo-Knack's powers include the ability to heal regular Knack and launch a scaled down version of some of its power attacks. 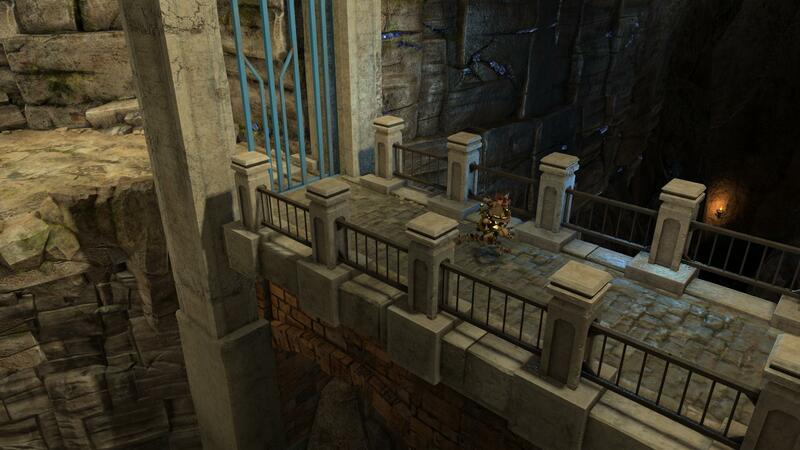 But the fixed camera angles focus purely on the player controlling Knack and don't zoom out to accommodate the player controlling his metal doppelganger. This forces whoever's playing the second character to stick close to Player 1 lest they end up falling off a cliff or getting pummeled by enemies off-screen. 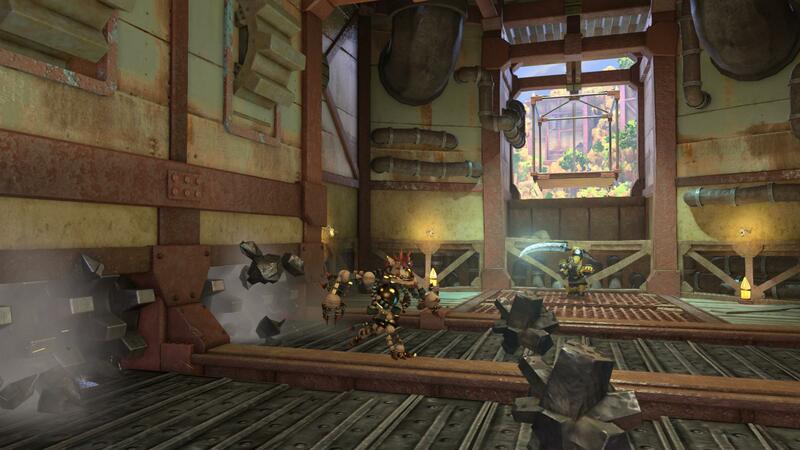 Plus, if Knack gets killed, both players have to reset back at the most recent checkpoint, regardless of how much health Player 2 has - a frustrating feature to deal with for anyone hoping to play through the game with a buddy. 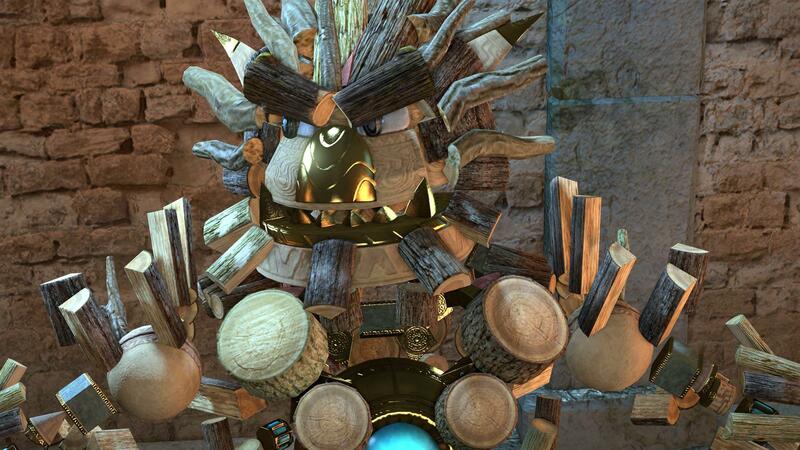 Bottom Line: Knack is a colorful, but mediocre platformer that has issues with repetitive gameplay on top of being frustratingly difficult at times. 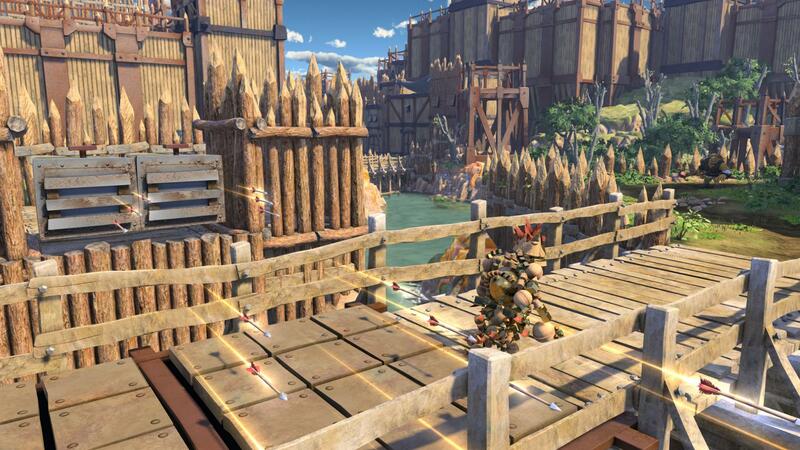 Recommendation: Those who enjoy platformers might find a few things to like about Knack, but don't expect it anything ground-breaking.